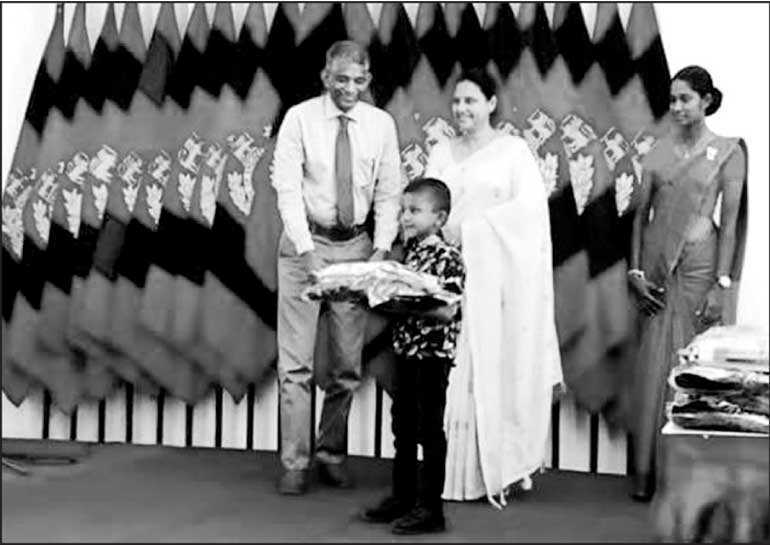 Wellawatta Nithyakalyani Jewellery, pioneers in the jewellery trade in Sri Lanka, donated school books and instruments for over 100 children of officers based at the Panagoda Army Camp. Major General Sudaththa Ranasinghe of Engineering Services Regiment (Sri Lanka Army), P. Sivakumar (Partner, Wellawatta Nithyakalyani Jewellery) and J. Sasikumaran (Factory Manager, Wellawatta Nithyakalyani Jewellery) were among the large gathering of distinguished guests at the event organised in collaboration with Seva Vanitha Unit of Sri Lanka Army. Addressing the gathering, Sivakumar stated that the company was willing to continue the book donation as an annual event and include this into the company’s annual calendar for CSR activities. With 40 years of continuous innovation and experience the company has been successful in blending creativity, quality and originality to make Nithyakalyani synonymous with trust and excellence. Recognised by national bodies such as the National Gem and Jewellery Authority, National Chamber of Exporters and Export Development Board, Nithyakalyani Jewellery proudly delivers uncompromised service that is second to none.